to help support and raise money for charities in Pittsburgh, PA. Through the power of numbers, we combine our donations to make an immediate, BIG impact on our local community while having some fun! In doing so, we will create a culture of giving and support. We will have a bigger impact if we stick together. 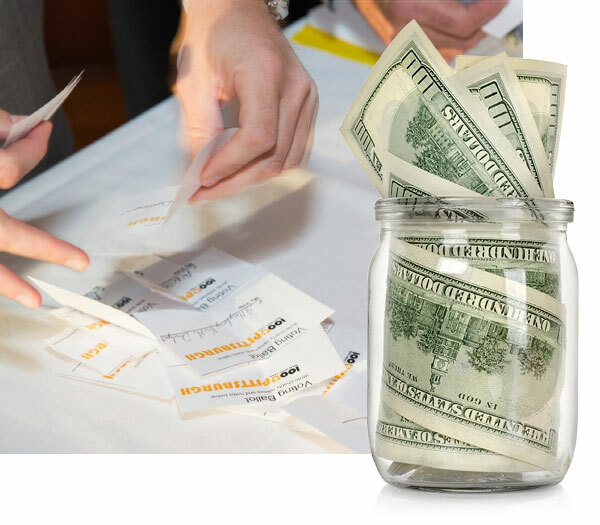 Once every quarter, individuals arrive to the event and write a check for $100. Upon admission, individuals grab a beer, some food, and chat with others. We then nominate local charities to donate all of our contributions to. Finally, we vote to choose a recipient and honor their award the following week. 100+ Men Who Care is so much more than just one event. Our community needs us to come together quarterly to help contribute to great causes. That is why we are looking for men who we can count on to come back every quarter. Plus, nothing beats hanging out with good people. Each member must commit to donating $100 per meeting ($400 per year). The donations will be given to a charity/non-profit/worthy cause serving the Pittsburgh, PA area. No national charities will be considered. The purpose for the contribution is to stay 100% in the community. Meetings will be 90 minutes: 45 minutes social/45 minutes business. From 7:00 – 8:30 p.m. any member wanting to present can submit their name and charity for the drawing. Three names will then be drawn and the members that are chosen will be given 2-4 minutes to make a presentation for their charity, followed by 2-4 minutes of Q&A. Periodically, the board may present a 4th option to be voted on. After all the presentations have been made, each member will receive a ballot. The ballots are collected and tabulated with the “winner” receiving all the money donated that evening. Majority rules. Although the winner may not be your first choice, you will still be obligated to pay. Attendees write a check that night payable to this organization; checks are collected and presented to the member representing the charity. The information below is needed for planning the Events and internal communications. Your personal information will NOT be shared with anyone else, and the charities agree not to solicit our members. I understand that I am making a personal commitment to the 100+ Men Who Care, Pittsburgh Chapter to make an annual donation of $400. I agree that even if I did not vote for the charity chosen by the majority vote, I will fulfill my donation commitment. I agree to be included in a group photo (taken at an Event) to show on our website, or Facebook page. 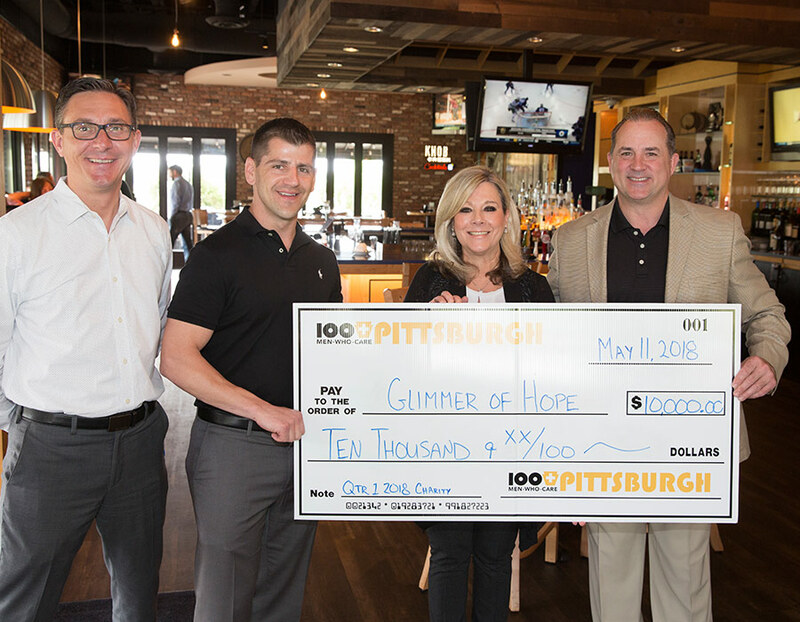 ©2019 100+ Men Who Care Pittsburgh. All Rights Reserved.